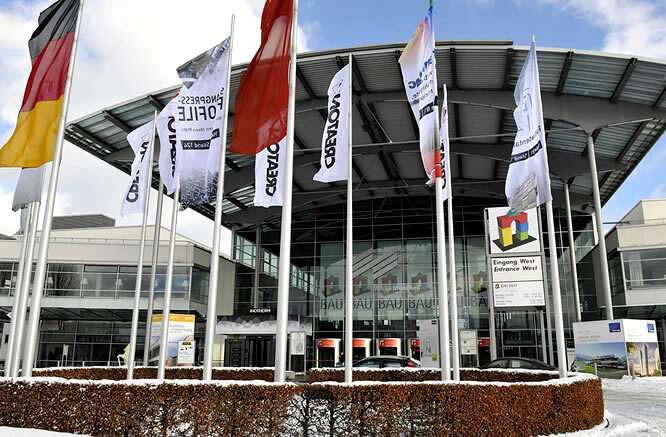 The Bau Munich Fair 2019 will be held from January 14 to 19, 2019. Exhibitors will present a wide range of materials and technologies related to architecture and construction. It is one of the most important international fairs and it occupies an area of 200,000m2. The BAU Munich Fair includes exhibitors from the construction and architecture sectors, interior design and decoration as well as technological innovations. The sectors that have representation in Bau Munich Fair 2019 comprehensively cover any element that might be related to construction, architecture or interior design. We’ll find exhibitors covering a wide range of sectors, including for example lighting -concepts and products of both natural and artificial lighting in cosntruction and architecture-, security measures (including doors, locks or parking systems), or materials (stone, glass or wood). Energy is another sector that will be exhibited at the Bau Munich 2019 Fair, as well as the incidence and use of chemical products in construction or innovations in architectural tools. • Profile / structural steel systems. • Zinc and copper surfaces / systems. Codina Architectural will be present one more year at Bau Munich Fair 2019, introducing new products and projects. If you want more information about the Bau Munich Fair and about the presence of Codina in it, please contact us through our contact form. We will get back to you as soon as possible.